Ed, also know as “EZED” was a veteran of the US Army. During his childhood he was a Cub & Boy Scout earning brotherhood of the order of the arrow. He attended Munson School, Grover Cleveland Junior High School and graduated from Zanesville High School in 1956 where he lettered on the golf team for three years. Ed became a member of Honor Lodge #726 F&AM Masonic Lodge in 1973 and later served as Master of Honor Lodge in 1982 before it merged with Lafayette 79 F&AM in Zanesville. 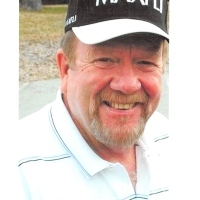 Ed was a devoted and very active member of the Zanesville Yacht Club and one of the founder of the “Liars Club” that met most Fridays with Ed leading the group with his sailing stories & adventures. Ed became a mouldmaker apprentice in 1959 and was employed as a journeyman mouldmaker for 25 years in several mould shops including Continental Can, Zanesville Mould, Stuck Mould, Lancaster Mould, and Brockway Mould until its closure in 1984. He then relocated to the Virgin Islands to pursue his dream of one day owning a sailboat and sailing around the world. After Pat joined him in 1986, together they purchased their beloved sailboat “Blade”, which they lived on and sailed for twelve years. Although they never sailed around the world, they did, however, sail to Bermuda and Annapolis Maryland. They also anchored next to the Statue of Liberty on the 4th of July, 1987 on their way up the East River to Sanford, CT. They visited several Caribbean Islands and Venezuela twice, and then up the river systems from Mobile, AL to Marietta Ohio in 1993. Ed also authored a book named "Live Life My Way," a memoir of his life experiences from early life through his sailing days. He also was able to help sail a new sailboat in 2007 from La Rochelle France to Guadaloupe W.I. in the Caribbean by way of the Canary Islands off Africa’s west coast. Later, Ed survived two battles with cancer which left him with a slight handicap but never hindered him from seeking out friends for fun and also sailing vacations to the Caribbean. Ed is survived by his loving wife of 33 years, Patricia, one sister Martha Hague Chaney of Umatilla, FL, and several nieces and nephews. In addition to his parents, he was preceded in death by several aunts and uncles and close friends. There will be a Celebration of Life Service at the Zanesville Yacht Club Friday March 22nd from 3:00 PM to 7:00 PM with Masonic Services first & then Military Honors beginning at 3:00 PM. Family has asked friends to bring a snack to share & their own beverage of choice. Dress casual, Island attire preferred to Celebrate Ed’s Life. The Bryan & Hardwick Funeral Home, 2318 Maple Ave. is in charge of the arrangements. Please click on the Guestbook link on this page.